For our full fiberglass kit, produced in modern glas and carbon fiber sandwich-vacuum technology, we can offer you all accessory parts from the scale rear landing gear, scale cockpit ,protective bags to GfK tank in field-tested quality. Furthermore we can deliver you all accessory- and scaleparts for your kit. Even in a completely ready to fly version you can get your model from us. Optional you can get a dividable undercarriage or a Carbon undercarriage. A standard alumium undercarriage is supplied with the kit. Wilga 3,7m two part landing gear (optional) Wilga 3,7m two part landing gear Especially useful for limited transportation possibilites. The with and the height is reduced by 30 cm each. Only 2 screws need to be unscrewed to remove the gear. 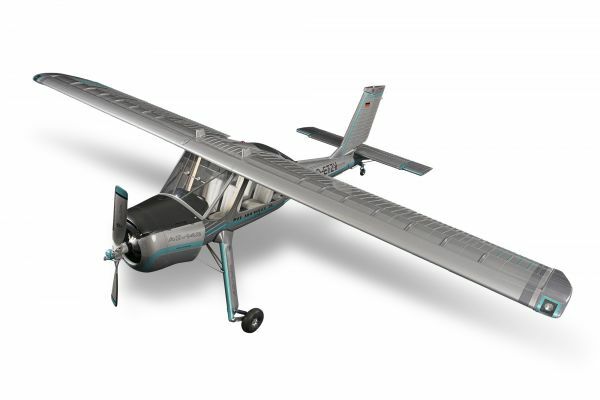 Related links to "Wilga 3,7m full composite kit white"